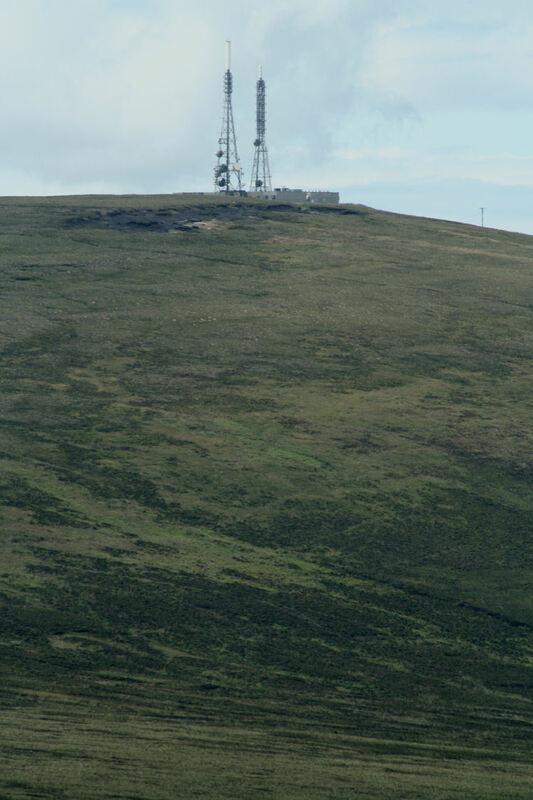 The original BBC transmitting station for Orkney - known simply as Orkney - was established in 1958 on the site of the former RAF Netherbutton radar station at NGR HY464045. Link to this site at the bottom of the page. 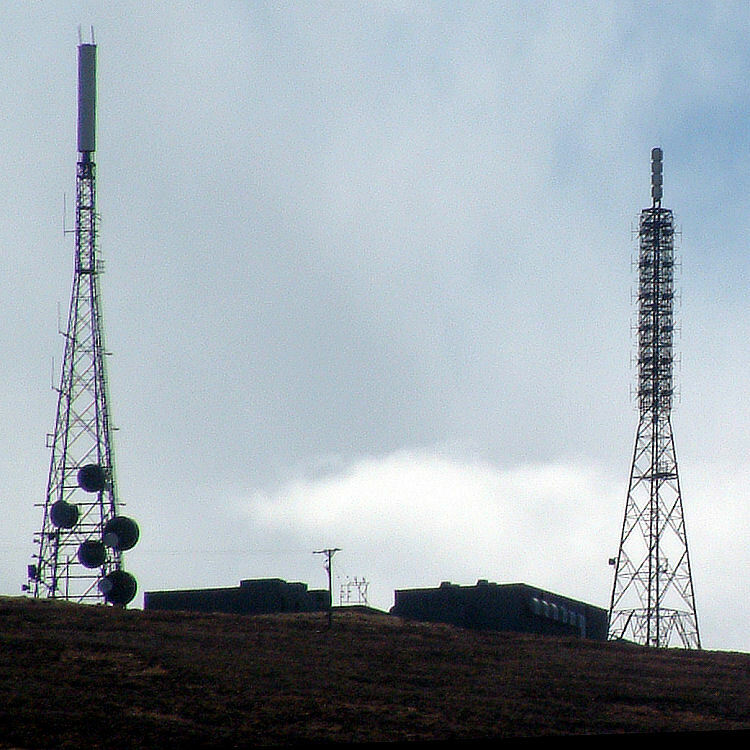 This new site at Keelylang Hill was constructed for UHF TV, entering service, with 3 TV channels on 19th December 1975. Channel 4 was added in June 1984. 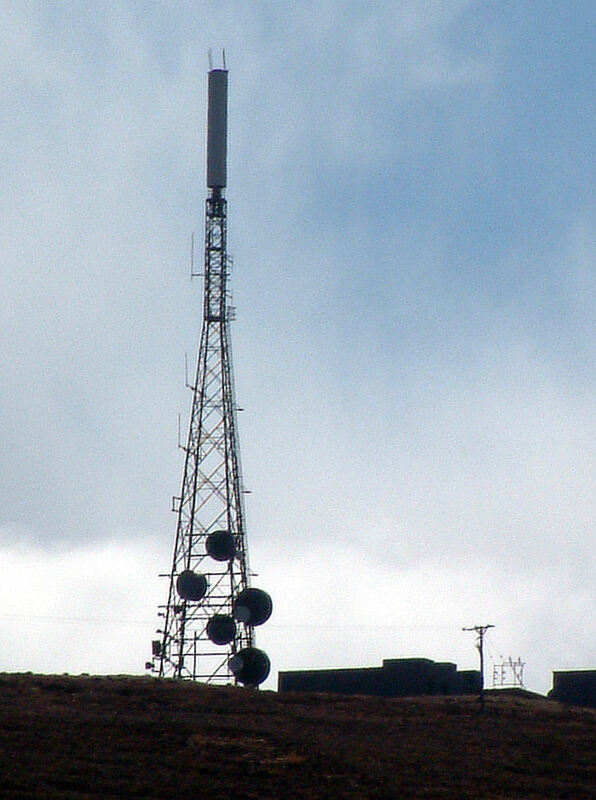 DTT was added late in 1999 and DSO was on 12th and 26th May 2010. 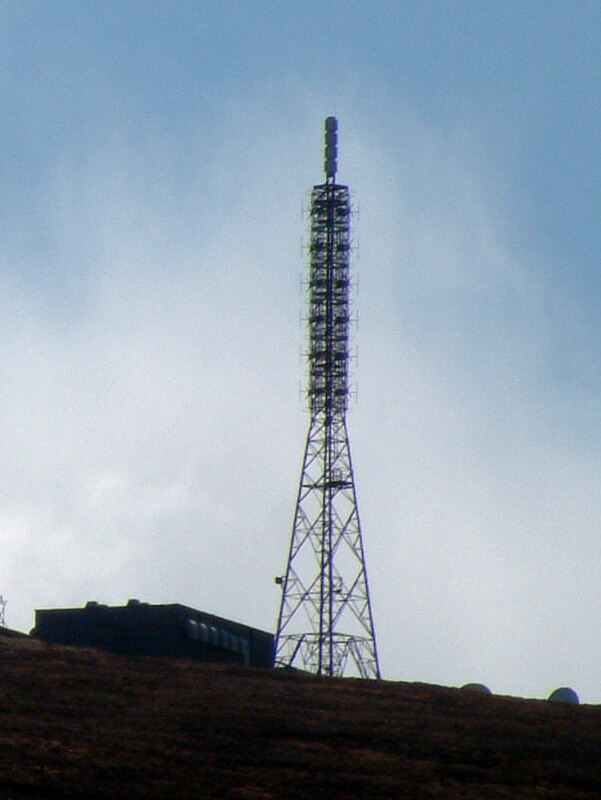 A second tower, Keelylang Hill B, was built for the re-engineering of FM radio from horizontal to mixed polarisation, with BBC radio services transferring to this site in February 1986. 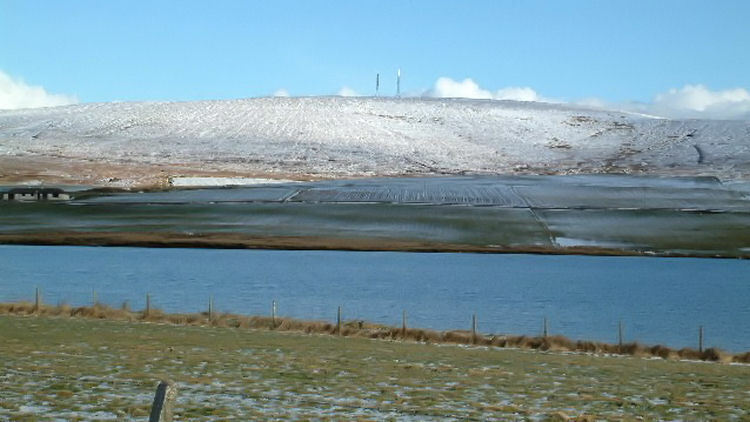 The Orkney site then became redundant. 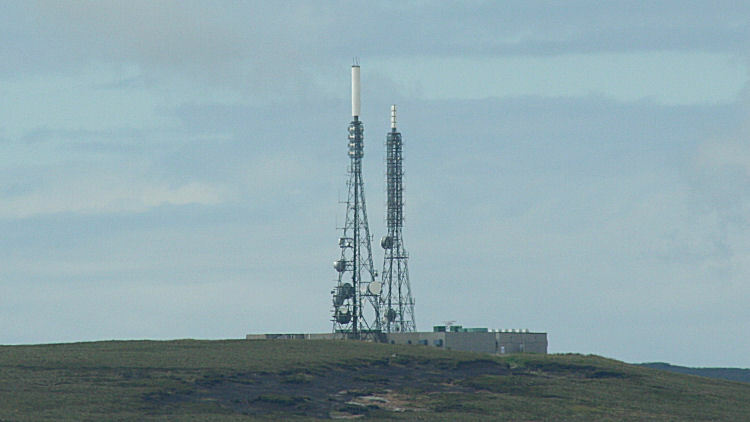 Radio 4 was added on 11th August 1993 on 95.9 MHz, and Radio 1 from 22nd August 1993 on 98.5 MHz. 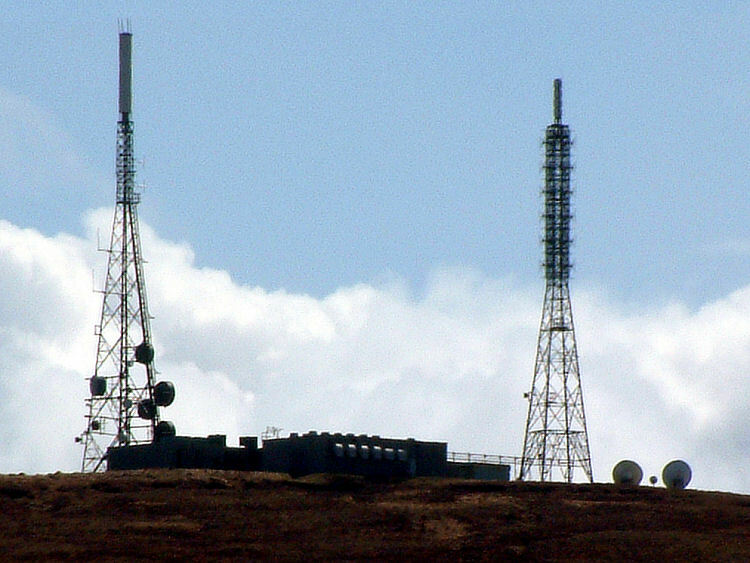 The Radio 4 frequency was changed to 96.0 MHz on 15th April 2002. 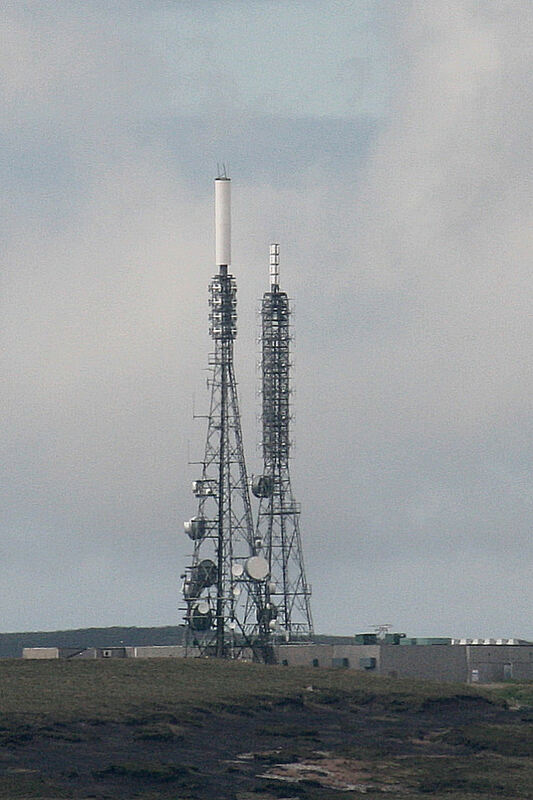 The UHF array at the top of the FM radio tower is apparently the S2 DTT Reserve antenna, comprising of 4 Tiers of 4 panels. 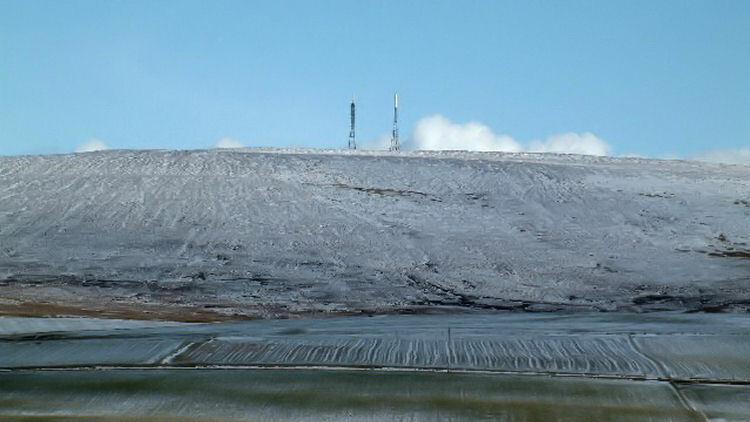 The station derives its programme feeds by off air reception of Rumster Forest, and I believe we can see a trough aerial towards the bottom of the TV tower. 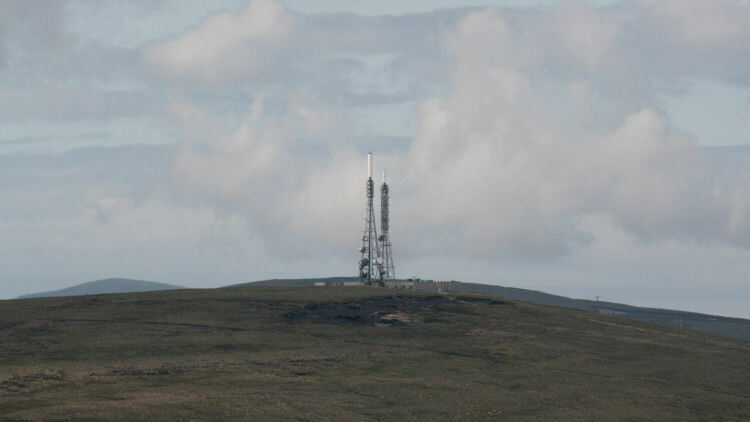 Keelylang Hill's FM radio transmissions are in turn received off air at a station on Fair Isle, which then provides a feed at SHF for Bressay in the Shetland Isles.